This will cut down on the absolutely ridiculous amount of 1-star reviews on the base model because "I can't see the screen at all in the dark, USELESS". Wessell Urdata, EClyde and SolarisGuru like this. I love my Kindle Paperwhite. Awesome for light nonfiction or almost any non-graphic novel. 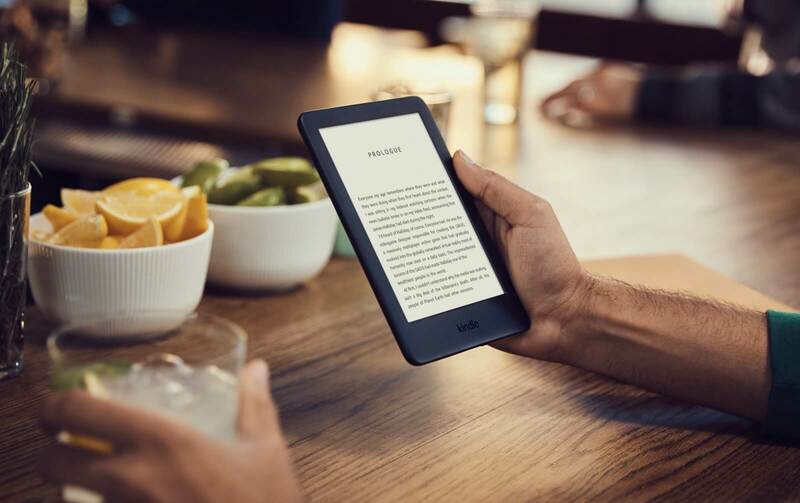 Still, it seems like Amazon is just replacing the base model with a slightly cheaper Paperwhite (lower resolution in favor of $30 less). All of the new base 'features' already exist on the paperwhite [except the bluetooth]. Even the dimensions are the same. So, great news that a cheaper paperwhite is available. Bad news that the $50 base model will no longer exist. It still can't read epubs, so no thanks. I don't like being locked into a proprietary marketplace. Except that you absolutely can sideload any ebooks (of most any file type) using software like Calibre. Heck you can use that same software to strip Amazon DRM from your purchased titles and read them anywhere too. I still like my Nook. Supports epub natively, no need to use other apps or jailbreak anything.